Golden Gate University strives to satisfy your needs as a student to ensure your success — in a convenient, personalized and pleasing way. Tap into a network of people standing by to help you when you need it. we provide comprehensive advising services — from admission to graduation — and beyond. At GGU, we strive to help students reach their highest potential by offering free online and in-person writing and math tutoring assistance to current GGU students. GGU's Wellness Resources helps you optimize your performance and well-being in your academic, social, relational and career roles. Join peers from 34 countries in the heart of San Francisco. GGU provides help with Visa paperwork, housing information, and more. There's a vibrant GGU community that you can access while you're a student and after you graduate. The GGU community has one common thread: the hard work and perseverance it takes to attend classes as working adults. Student Government Association (SGA) represents the various interest groups of GGU. It is a student-oriented organization linking students and the school administration, integrating the GGU student body, and representing students' viewpoints and interests in all situations. Student Academic & Cultural Clubs are a vital part of the GGU Community experience that supports the school's mission to prepare individuals to lead and serve embracing ethics and diversity. Clubs sponsor a variety of events such as conferences, workshops, and speakers that provide distinct opportunities for learning, networking, and socializing outside of the classroom. The Golden Gate University Bookstore also has a wide range of student supplies and is the only place to show your school spirit with GGU branded apparel and other merchandise. Golden Gate University partners with San Francisco Student Housing (SFS Housing) to provide affordable housing within walking distance of campus. Building from its rich and vibrant history, Golden Gate University has been a part of the San Francisco Bay Area community for more than 110 years. Student Life at Golden Gate University is full of exciting and rewarding times. Here are a few events that highlight the rich experience of being a GGU student. New Student Orientation is your opportunity to learn about the services available to you as a GGU student, to ask questions, meet some of the faculty members, meet other new students, get academic advising and register for classes if you have not done so already. 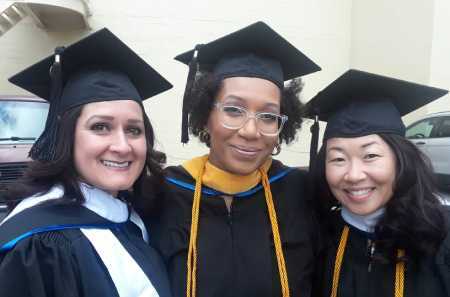 Each Spring, Golden Gate University holds commencement ceremonies to honor and celebrate the proud achievements of its graduating classes. Community Days are perfect opportunities to meet and network, take a break from your studies and spend time with your families and fellow classmates. Golden Gate University seeks to ensure that its programs and services are fully accessible to students who have special needs. The Office of Disability Resources & Academic Accommodations tailors is services on a case by case basis to individuals with all types of disabilities and learning differences in order to provide equal access to educational degree programs offered by the university. Students may meet with the disability services coordinator to discuss their needs and involvement in the disability services program. All students within the GGU system may contact the Director of Disability Resources & Academic Accommodations for assistance in receiving academic accommodations. This includes all regional sites and online. Self-identifying as a student with a disability or learning difference is necessary to receive supports and services. Students can schedule an appointment with the Office of Disability Resources & Academic Accommodations to discuss accommodations process and verify eligibility. Any disclosure of disabilities or learning differences is kept completely confidential with the Office of Disability Resources & Academic Accommodations and never needs to be disclosed to your professors. To be eligible for disability-related services, students must have a visibly obvious or documented disability as defined by the Americans with Disabilities Act of 1990 (ADA) and/or Section 504 of the Rehabilitation Act of 1973. Documentation guidelines are outlined in the Disability Services Handbook. Students requesting services should contact disability services immediately after being admitted to Golden Gate University.